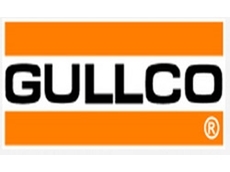 GULLCO International has introduced a pneumatic handheld bevelling machine capable of producing clean, machined bevel angles of 15° through 75° and bevel widths between 0 and 20mm. The Gullco GBM-10 operates pneumatically so there is no electric motor to burn out. It accurately bevels mild steel and aluminum in a wide variety of metal forms including plate, bar, strip, block and large tube and pipe. This unit is ideal for chamfer, weld prep and bevel applications. The GBM-10 is designed for heavy duty performance yet weighs only 11.15kg) enabling easy operation. It can be equipped with optional helix rollers which assist with the smooth operation of the unit.